A Licensed Robin T-Shirt Set – Ideal for Halloween, Film, Superhero and Comic Book Fancy Dress occasions. Holy costume Party! 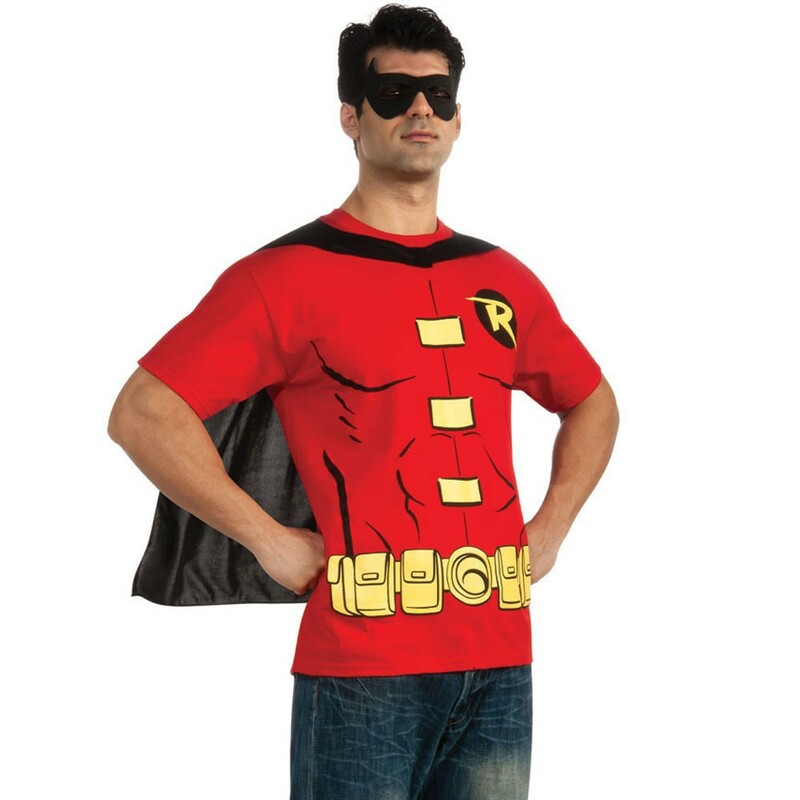 No superhero is complete without their sidekick; so transform into this Robin T-Shirt Set includes all you ned to play the part of this infamous sidekick. This set includes one T-Shirt, Removable Cape and Eyemask. This Robin T-Shirt Set comes with a red coloured Top that includes the iconic ‘Robin’ Symbol on the chest and its cartoon print with chest and belt detailing. The Black Removable Cape attaches with Velcro at the back and the final touch to this comic book costume is the Black Eyemask. Step up to the role of the famous companion to the caped crusader with this Robin T-Shirt Set and be ready to fight all crime and evil. A Licensed Robin T-Shirt set with T-Shirt, Removable Cape, and Eyemask.